Setting up in business is an exciting time. It can also be nerve-wrecking, lonely and is definitely very challenging. Doing it while working from home and balancing raising children and running a home can add an extra strain to the mix. I regularly hear my new clients talk about the overwhelm that being their own boss brings. They have so much to do and feel they have to do it all themselves. That regularly takes from any free time that had been previously available, meaning that they are always on call. 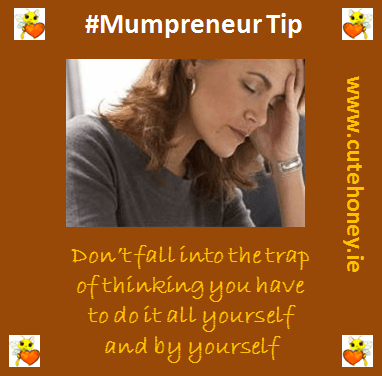 Many Mumpreneurs feel that because it is her business and as she is trying to keep costs down that she has to do everything herself. I regularly deal with this issue with my Cute Honey Pupa and other business training and mentoring clients who feel overwhelmed with work overload and need a way to deal with it. In my last post I dealt with how to value your skills. In this one I will show you how taking that very important step of outsourcing some of the work to someone else can free up not only your time but could also help you increase your turnover. First you will need to work out your desired hourly rate. 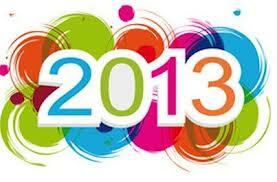 Have an annual desired income target. If you have a budget done up you will know what that is, if not put down how much you would like to earn. 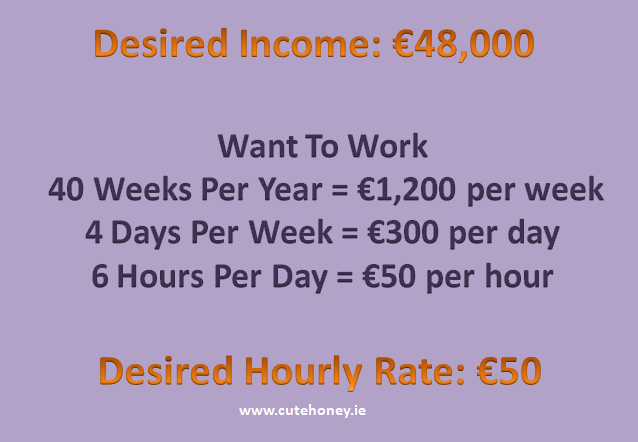 Use the diagram above to work out your own desired hourly rate. Having that in hand now work out how many hours you spend doing tasks that would cost less than €50 per hour to do in paid employment, tasks like bookkeeping or order-picking. Does it still seem viable to spend eight hours doing something like your bookkeeping that can be done by an expert at €15 – €20 who will get it done in three to four hours? Or order-picking that would cost less than €10 per hour? Those extra three or four hours can be spent doing more important tasks that need to be done – working on your business instead of in your business. “Ah but I can’t afford it” or “I don’t have the money to pay someone” are common complaints I hear. However we have to spend money to make money. Asking for help is often way down the list for many Mumpreneurs. Many feel that they have to do it all by themselves. All it takes is to swallow some pride and ask for help; from a partner, a friend or even suggest a skill swap with another Mumpreneur. Looking past the immediate list of tasks to what you want to achieve with your business and setting about getting that done by either hiring or asking for help is the first step towards achieving it. Have you gone past this stage in your business yet? How have you overcome the “all by myself” syndrome in your business? Please leave a comment in the box below and share with us. In today’s information overloaded society a completely new idea is a very, very rare thing. This also applies to business ideas. Many of the businesses that Mumpreneurs set up are copies of other businesses. What makes them viable is the Mumpreneur putting her personal stamp onto it and making it her own. If you are lucky you will be the first in your country with your business idea, just like we were at Cute Honey. Yes, there were quite a few Mum support forums, like www.iamawahm.com www.mumstown.ie and www.rollercoaster.ie, etc. before Cute Honey came along. What makes us different is that Cute Honey is not a forum! * Yes! We DO offer support – so do other businesses. * Yes! We DO provide training, mentoring and coaching – so do other businesses. * Yes! We DO provide networking opportunities for our community – so do other businesses. “You’re not exactly original then, are you?” I hear you say. 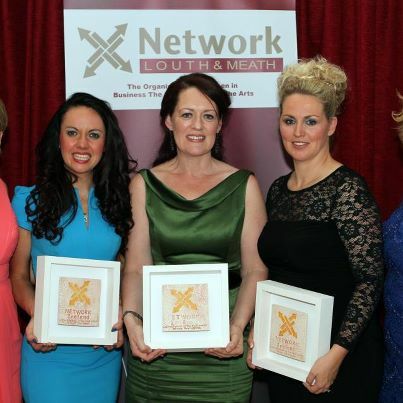 We are the first to offer business training, mentoring and coaching specifically to Mums in Ireland who want or need it (and now internationally via our webinars) on their terms – around raising their children while growing their business! We put our own stamp on somethings that were already out there – business training, networking, support systems and Mums! 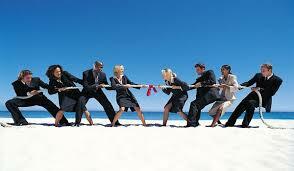 Will there be competitors who take our idea and open up in competition to us? There already are – nine at the last count, some of whom are complaining about how annoying it is to be copied by others. Go figure! There is enough room in the market to accommodate us all. Even if your market is saturated, like the business training market is, if you can do something different to set yourself apart, with some proper market research you could still have a viable business idea. One of our previous Cute Honey attendees, Sam’s Pantry, entered her extremely competitive market – cake baking and is building a very successful business. That is a saturated market, yet what separated her business from her competitors was the fact that her cakes are all baked without using lactose, casein or dairy and still taste scrumptious, which caters for food allergies. Another Cute Honey attendee, Coze Di Roze uses her ability to build a fantastic relationship with her clients to develop and retain repeat business with those clients, often to the point that they know they can trust her recommendations to them. 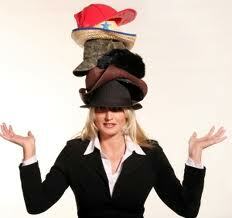 All this while competing successfully in the highly competitive ladies fashion industry. Competition in itself is a good thing, it keeps you on your toes and ensures that only the best survive, not the cheapest – the best, those providing good quality. Part of the Cute Honey Lite training covers how to set yourself apart from your competitors and it is always a joy to see our clients work out just what it is about them that makes them different. This is then something that they can use to their advantage to help build their business. For example, I’ve successfully started, owned and run my own businesses for over twenty years – all while raising children. I’ve walked the walk, not once but several times – one of Cute Honey’s main competitors has no children, another is male, another has no training or coaching qualifications, yet they all have a niche within the Mumpreneur market. Having successfully done exactly what other Mumpreneurs are now struggling to do, several times, gives me an exceptional vantage point to understand the issues other Mumpreneurs have. It also puts me in a very favourable position to help them with the solutions to overcome those issues and the obstacles that stand in the way of being a Mumpreneur entails. Have you set up in a highly competitive market? 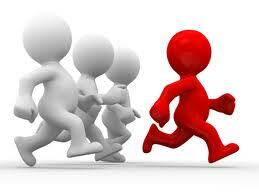 How have you stood out from your competitors? Please share, other Mumpreneurs might be motivated by your advice. Have you got a niche in your business? Far to commonly, new Mumpreneurs don’t have a niche – or even know what one is – and end up struggling to grow their business. When you set up in business you often have so much to do that in that process itself that your attention is pretty scattered. It is basically the principle of becoming very, very specialised within your industry – often called a niche. To name just a few of the titles you hold as a business owner, now add the ones you have as a Mum. So it is little wonder sometimes that in the midst of all that you forget the quote above. The reasoning behind it is you are only able to be competent at one thing at a time and by multi-tasking you are not giving any one project your full attention. That does not take from the fact that over time you can learn to be competent at many tasks so that they become inbuilt habits, you become good at skimming through them. The problem with skimming is your mind is always on the next task instead of the one you are currently doing, so you don’t give it your full and best attention. Pick a task you normally do well and go do it. Notice how you’ve managed to cut some corners with it from when you first started doing it? Or how you are already planning what you will be doing next? In business starting out you want to build your business as quickly as possible to ensure that your business thrives, so you skim. Skimming in itself is not a bad thing, it can give you exposure to niches you had not considered before, however for sustained growth sticking to one niche is a much better approach. Despite the warnings to stick with one type of client, or one type of expertise, you agree to take on clients that might not be the best fit for what you are offering – after all a client is a client and clients bring in business. Then you have the unenviable task of fulfilling that expectation, often to the detriment of your business growth. You begin to fear the loss of that client and that you won’t get the clients you actually want, so get caught in a self-perpetuating circle. Over time your business is going in a direction you had not planned on. How does a business develop a good niche? * Start to market specifically to the speciality that you only want to do business with instead of marketing generally. * Network with other businesses within your speciality, they might complement your offer. * Develop joint ventures with businesses that can expose you to your target market. * Stop taking on business from clients that are not in your niche. I’ve had quite a few enquiries for business training and mentoring since I began Cute Honey from people who are not in the Mumpreneur niche simply because they recognise that my expertise can be transferred to their niche too. Once you become a specialist or go-to person for your niche you this might also happen to you – this is a great way to start to develop a second niche. Have you got a niche developed for your business? What is it and how has it helped your business to grow? Please share in the comments box below. What Plans Have You Put In Place To Grow Your Mumpreneur Business? Many of the Mumpreneurs I meet are crafters. You make or bake and at this time of the year you are incredibly busy. You’re taking stands at fairs and markets both locally and a little further from home. Between creating your wares, attending the fairs and the normal online and telephone orders you don’t have a minute to spare. It’s really heart warming to hear of so many Mumpreneurs being so busy. But what happens when the Christmas rush dies down? How many of you have made plans on just what will happen in January, when the bills come in and people aren’t ordering like they were for the previous month? It is really important to be able to plan out how your business is going to grow. Not just an idea in your head of how things will pan out but a proper plan in place. Do you even know where to start with one? Many of the Mumpreneurs I’ve come across find this task extremely daunting and keep putting it on the long finger and hope that her business will still grow. 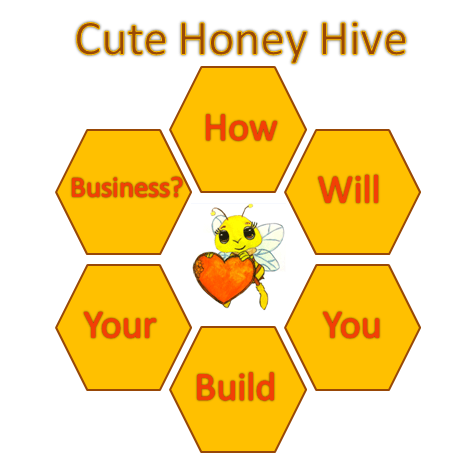 It is always best to have a solid structure in place when growing any business and Cute Honey Hive is just that. On this training we help you to build up a business plan for the next twelve weeks to help you move your business in the direction you want it to go or to take an existing business plan and tweak it to suit where you are now. Not only that, because we understand just how much “life” gets in the way when we make plans we also help you stay on track with weekly follow-up emails and fortnightly telephone calls. As an added extra we give you the option to return at week seven and tweak your plans to take into account the successes you’ve had so far and the areas you are having problems with. This new training will be rolled out in January 2013, if you would like to be considered for a place on this training (which we will also be offering as an online training) please put your details in the box below and we will contact you. You’ve set up in business, well done. You’ve done all or at least most of the basics that go along with that. Registered your business with the relevant authority, registered with the government department for tax purposes, etc, all the things I cover in my Cute Honey Lite Mumpreneur training. You are a bit busy, work wise, starting up a business takes up so much time. How are you going to ensure that you have a steady stream of business coming your way? Your friends and family will probably keep you ticking over for a while, but then the novelty will wear off and where will your next batch of clients and customers come from? Great if you know how to work these social networks properly, but extremely damaging to your business if you don’t. I’ve previously posted on how breaking Facebook competition rules can not only damage your business but ruin your reputation. So what can a Mumpreneur do to get her name out there in a cost-effective way? Many people absolutely dread the thought of networking, yet it can be a cheap and effective way of getting your name out to your target market. Women are natural networkers – have a look at the school gates in the mornings and notice how the mothers congregate together in different groups and chat. They’re not just chewing the fat and gossiping, often they are discussing what is happening with the school’s upcoming events. We do the very same with work. I had an opportunity to attend the first day of the National Women’s Enterprise Day NWED (it’s now a two-day event) which I hadn’t planned on attending this year. My target market is Mums who have a business and quite a lot of the attendees at this event are business owning Mums, so I reshuffled my diary when the opportunity presented itself and attended. Not only was it a conference with fantastic speakers talking about relevant topics, there was also mentoring slots available with over twenty mentors and a networking session included in the first day. This was very well-managed so that nobody was left sitting on their own and everyone got to talk to a new person every five minutes. I know I made some very important contacts for my business and so did others. I got to solidify online connections at an offline event. Plus some of these women introduced me to friends of their’s that they tought could benefit from meeting me. I met Aileen Rogers who recently won Business Woman of the Year with a New Business with Network Ireland a female networking association in Ireland. This award also comes with a list of prizes all aimed at helping her to grow her business. None of this would have been possible if she hadn’t joined this networking group, nor would I have met with her if either of us had missed this event. All the local County Enterprise Boards and Chambers of Commerce have networking events. Some of them require a joining fee, but there are also many other networking groups that don’t, it is a matter of finding one that best suits your needs if finances are tight. I often arrange to meet Mumpreneurs that I have been interacting with on either Facebook or Twitter for a cup of coffee and a chat, not just for the social aspect of it, but also to learn more about their business. Where possible I will arrange for a group of us to meet up, this way a shyer Mumpreneur can meet other Mumpreneurs without the formality of a bigger networking event. Often what happens is we will find something that we can relate to with the other attendees which also helps with cementing our connections and building up trust with each other. While you might not get immediate business out if it, you now have someone who you’ve met, who hopefully trusts you and knows about the service or product that you provide and can recommend you when someone they know is looking for it. You should be doing the very same thing for them. Do you network? Do you save it all for online or do you bring it offline too and what works best for you? If you don’t network yet, why not?